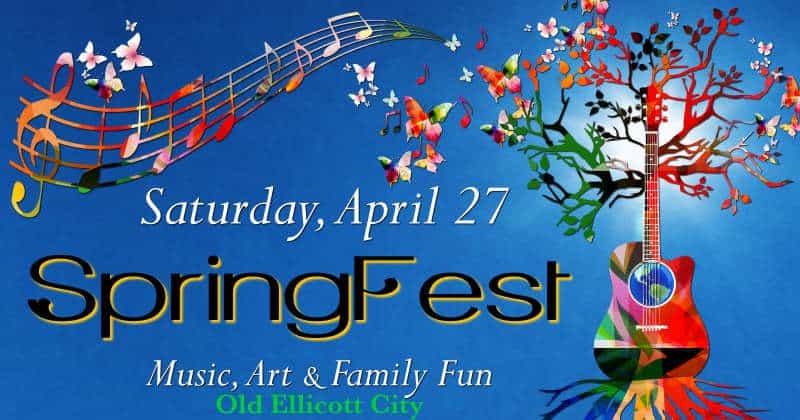 Celebrate Earth Day in Old Ellicott City at our annual SpringFest celebration. This free and family-friendly event offers 3 outdoor stages featuring music from 25+ bands. Each stage area offers free family crafts, local food, wines and locally brewed craft beer. Sidewalk sales, outdoor dining, museums throughout town offer something for everyone. Free parking and shuttle service from county parking lots makes getting to the festival easy. Free shuttle service to & from additional parking is available. 600+ spaces are available at the District and Circuit Courthouses plus the George Howard parking lots. The shuttle makes in-town stops at the corner of Church & Main St and Ellicott Mills Dr & Main. Pets. Due to crowds and noise, it’s best to leave your four-footed friend at home. Clipper’s Canine Cafe will have a watering station along with several of the shops on Main St. Pets are not allowed on parking shuttles. Proceeds from the event benefit The Ellicott City Partnership that supports our business community.